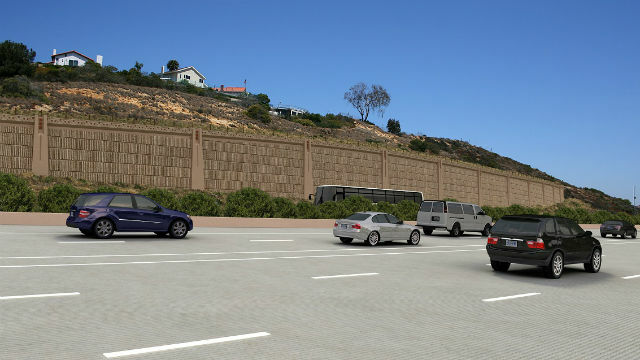 Construction crews will begin roughly five weeks of night work starting Sunday from 9 p.m. to 5 a.m. to place temporary concrete barriers on the inside shoulder in both directions of Interstate 5 between Encinitas and Carlsbad. The barriers are expected to remain on the shoulder for about 18 months, allowing crews to work safely while extending carpool lanes between Manchester Avenue and Palomar Airport Road. The San Diego Association of Governments does not anticipate full interstate closures during work hours to be necessary but partial lane closures are to be expected, excluding Friday and Saturday nights. The barriers should be in place by early February, according to SANDAG. Work crews began preparing the stretch of I-5 for work Dec. 2 by removing freeway striping and restriping the eight-mile section in both directions. The project is part of San Diego County’s Build NCC (North Coast Corridor) program, a 40-year, $700 million effort to repair and expand vehicle and rail transportation infrastructure throughout the county. Once completed, the county anticipates adding a total of 13 miles of new carpool and high- occupancy vehicle freeway lanes, 1 1/2 miles of doubled railroad track, seven miles of bike and pedestrian paths and more than 1,200 acres of restored and preserved coastal habitat land.